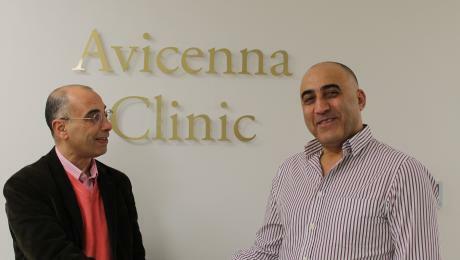 Avicenna Clinic, a new private healthcare clinic in Peterborough, hosted a presentation to local osteopaths from leading spinal surgeon Mr Masood Shafafy. Mr Shafafy’s presentation at the clinic on North Street explored the causes and natural history of back pain in different age groups. The presentation also looked at the economic impact of back pain with cost to the patient and society examined alongside the different treatment and surgical options. Back pain costs the NHS £1.6 billion annually and is the most common reason people are absent from work. It is also the most common reason people visit their GP.